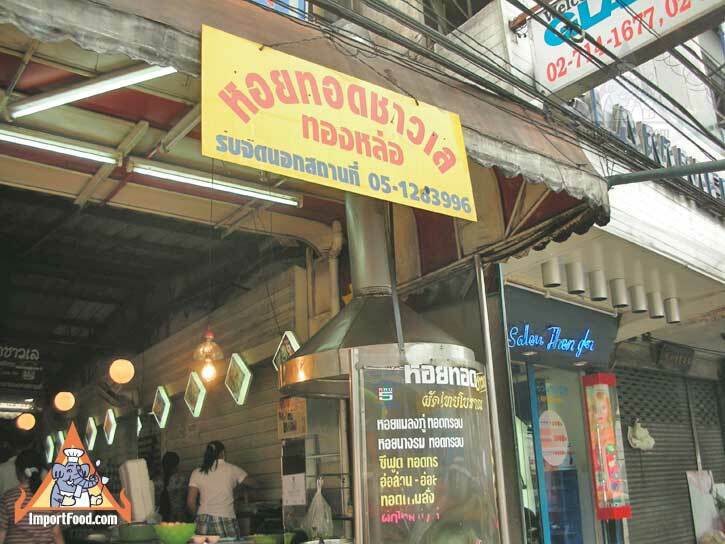 This vendor is part of our comprehensive report on the outstanding food finds in Bangkok's Thong Lor area. 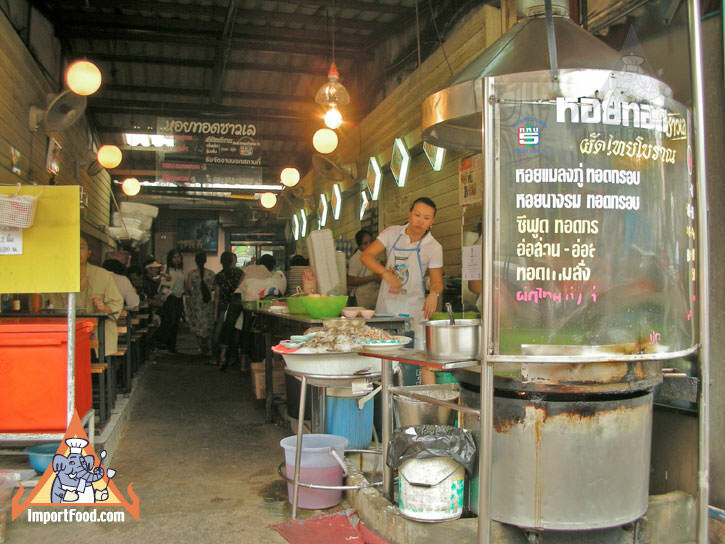 Chow Lei means "Fisherman" in Thai, and this restaurant is famous in the Thong Lor area as having excellent seafood at the streetside level, for pedestrian prices. 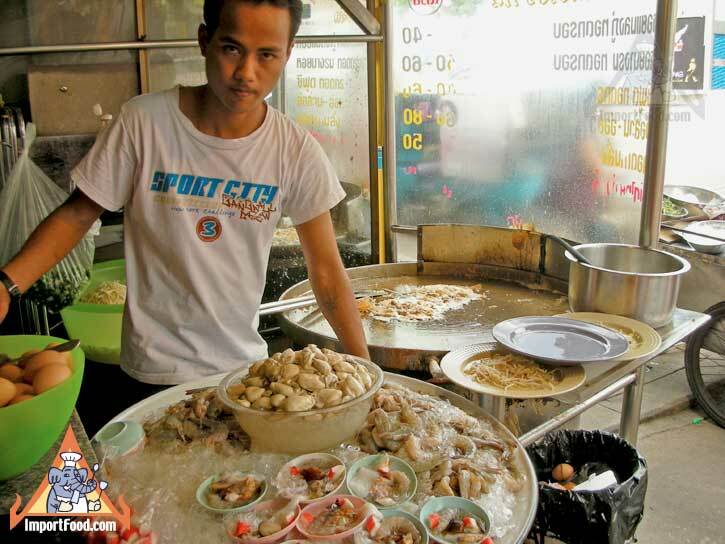 While many tourists may go to fancy seafood restaurants with high prices, you can find traditional Thai seafood offered here for a mere fraction of the price, and eat among the locals. 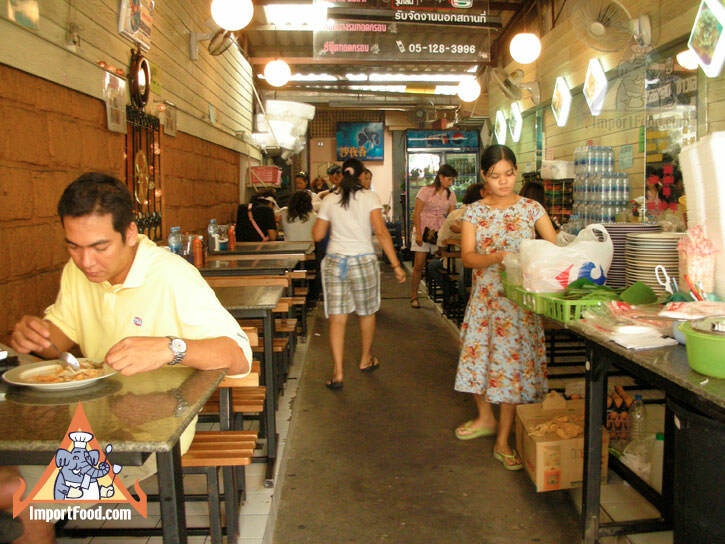 The owner started Chow Lei in 1973 in Chiang Mai, then opened this branch 8 years ago. 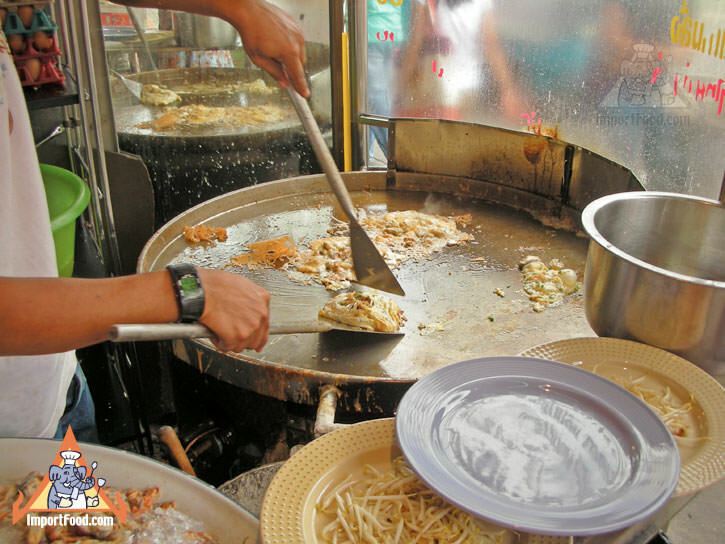 We tried Ausuan which is a stir fried combination of seafood such as oysters and mussels. 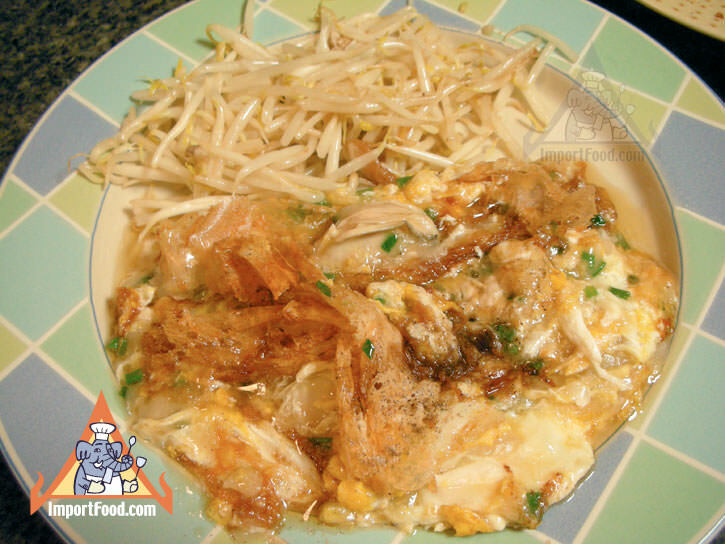 Fried with tapioca flour, sesame oil, sugar, garlic, preserved cabbage, eggs, water, fried garlic, spring onion, cilantro, ground Thai chile, bean sprouts, oyster sauce, soy sauce, and always served with condiments such as sriracha sauce. This restaurant also serves a new creation they call Au-Luat which is Ausuan served over crispy batter. 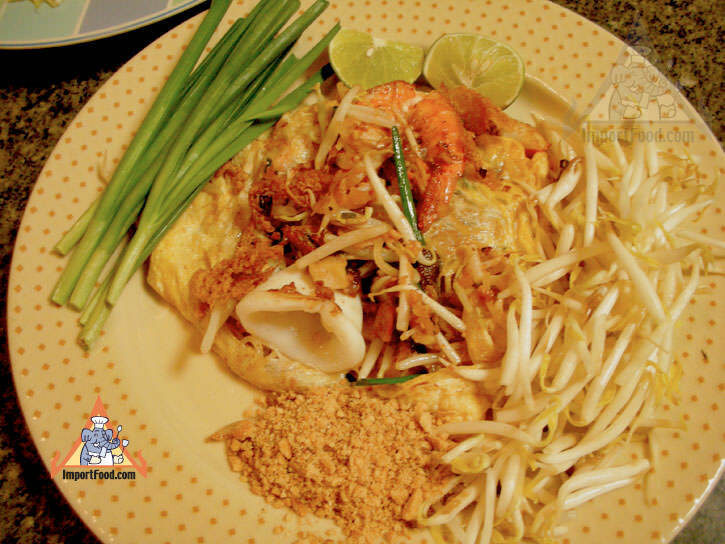 We also enjoyed a seafood Pad Thai (see pictures). 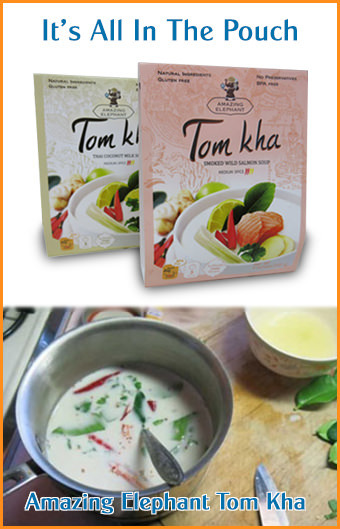 Their business card promotes their delicious "Traditional Pad Thai" and fast service. They are open from 9:00 AM - 9:00 PM Daily. 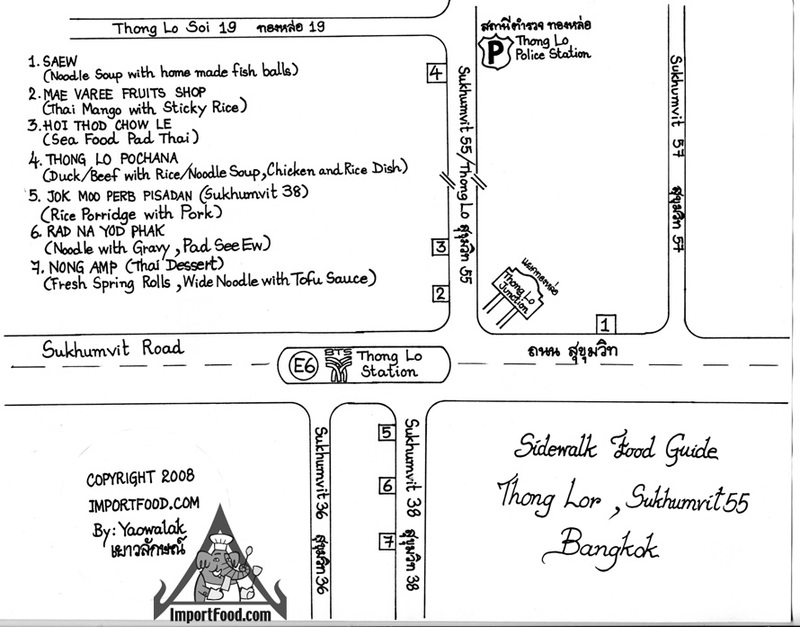 End of Thonglor (across from Police Station), Bangkok, 085-128-3996. See our free map! Or Click Here To Download The Free Map in PDF format.